Hydraulic oils used in the industry and in the mobile applications, are supplied in drums or cans, which can contain abrasive particles of sufficiently large size. Oils are not suitable for operation practically in any hydraulic system in such initial state, because endurance of its operation depends directly on purity of the used oil. So, when filling-in of hydraulic systems with working liquid it is reasonable to use mobile filtration units (MFU), which provide the appropriate oil purity grade for no-failure system operation, increase life cycle of components of the hydraulic system and minimize equipment downtime. Using MFU, you provide your hydraulic system a longer work period and minimize the cost of its maintenance – as a result, don't face failure of hydraulic equipment and production downtime in most cases. 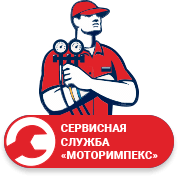 The appropriate MFU types are used, depending on the volume of tank of hydraulic system. Mini MFU (MMFU) is filtering and refueling units with cartridge (canned) low pressure filter, designed to purify hydraulic liquid in the mini power packs units and compact hydraulic stations, which volume of tanks does not exceed 40 liters. 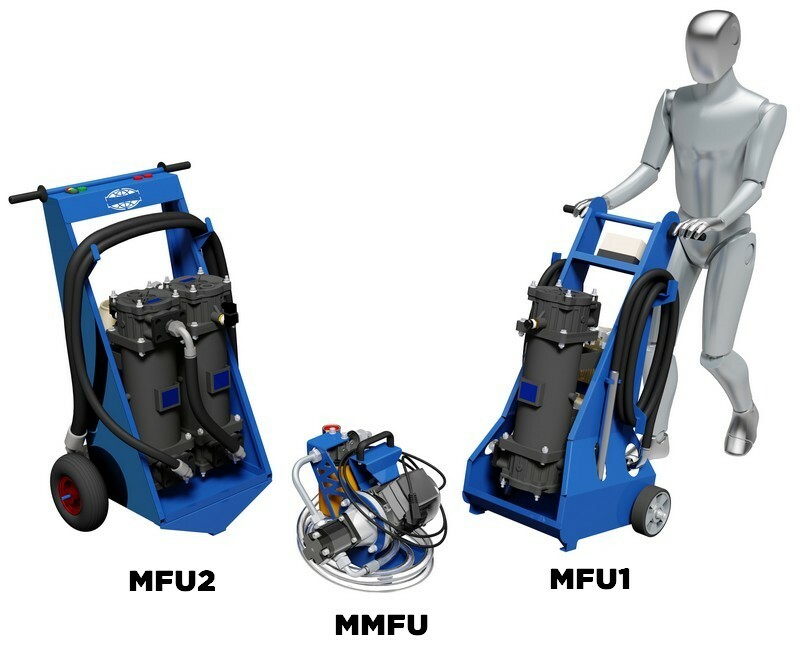 MFU1 are designed to fill in with hydraulic liquid of average volume hydraulic systems from 200 to 1000 liters. Such units include one filter with high contamination level. MFU2 are used for large-size hydraulic systems (with volume of hydraulic tank more than 1000 liters), include two filters with high contamination level: 1-st filter – course, 2-nd filter – fine, allowing achieving the highest filtration level of hydraulic liquid. Compulsory complete set includes filter element contamination indicator, allowing perform its replacement in time. Refueling units of MFU1 and MFU2 type can be completed additionally with sensors of purity grade of hydraulic liquid ICM (manufacturer MPFiltri), allowing real-time monitoring of lubrication purity grade contained in the tank. There are 3D models of MMFU and MFU1 for your attention below. Click on the navigation bar for view in full screen.